Acupuncture and massage are ancient practices. These techniques of healing the body of pain and aches along with many other problems have been dismissed previously by doctors and scientists. With modern day research, the benefits of massage and acupuncture have been rediscovered and used to combat health problems. In acupuncture and massage, palms, fingers and thumbs are used to stimulate those special nerves in our body which then in turn trigger the pain and pleasure points in your brain. This then leads the body to either secrete endorphins (pain killers) and trigger certain actions which helps the body to fight health problems naturally. The human body’s healing process is actually induced by massage and acupuncture therapy. In the past, many people did not believe in the healing process of massage and acupuncture due to ignorance or fear of suffering pain during the process. Nowadays, many doctors recommend this type of treatment to relieve headaches and other unknown body aches. There are many health problems which cannot be resolved by medicine alone. Also, determining the cause of some health problems can be very difficult. In some cases, acupuncture and massages have proved to be beneficial. Fibromyalgia, migraine headaches, and nerve damage are some examples. Using a combination of massage therapy and medicine can provide better results for some patients. Massages have been shown to relieve headaches. A headache is usually a result of stress and muscle tension. However the actual cause of a headache is debatable. If you rarely suffer from headaches, any over the counter drug will relieve your pain. But if you have regular persistent headaches with increasing intensity, then you really need to see a doctor and follow a prescribed course of medication. It is seen that tension related headache is due to an imbalance in the secretion of serotonin, endorphins, and other chemicals that serve as neurotransmitters (chemicals that the nerves use to send messages to one another). Acupuncture and massage release endorphins which stops the nerve cells from sending pain signals to the brain. 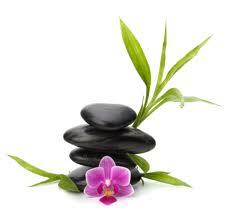 Nowadays, massage and acupuncture have been accepted by health professionals and the majority of people. Acupuncture and massage therapy have been shown to eliminate or reduce pain and in some cases, it can assist in resolving unknown causes of pain. Getting regular massages can help to promote better health.